In the picture "Girl with a letter at an open window" depicts a young blonde girl, standing in profile with a letter at an open window. Heavy red curtains over the window frame, and in the lower right corner of the glass shows the reflection of the person woman. The heroine separates from the audience table, covered with a heavy patterned drape, the color of which is emphasized by the Golden-green hues of dresses and curtains on the right. On the table is slanted bowl of fruit, and next to it – cut in half peach with pit. 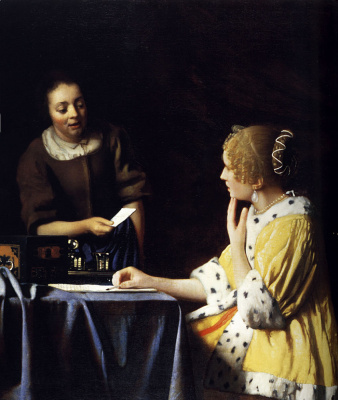 Art historian Norbert Schneider in his work on Vermeer indicates that this fruit is a symbol of extramarital relations, and, therefore, the letter is either the beginning or the continuation of the affair. This conclusion, according to him, confirmed by x-rays of the canvas. They showed that the artist depicted in the upper right corner of the painting of Cupid, but then for some reason wrote it on top of the curtain. 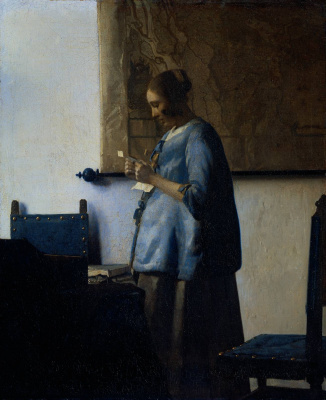 The drape in the foreground appears on seven paintings of Vermeer and serves as a contrast to the more illuminated the main stage. More often the artist has put between its characters and audience covered with a heavy table or balustrade, thus creating a sense of depth. 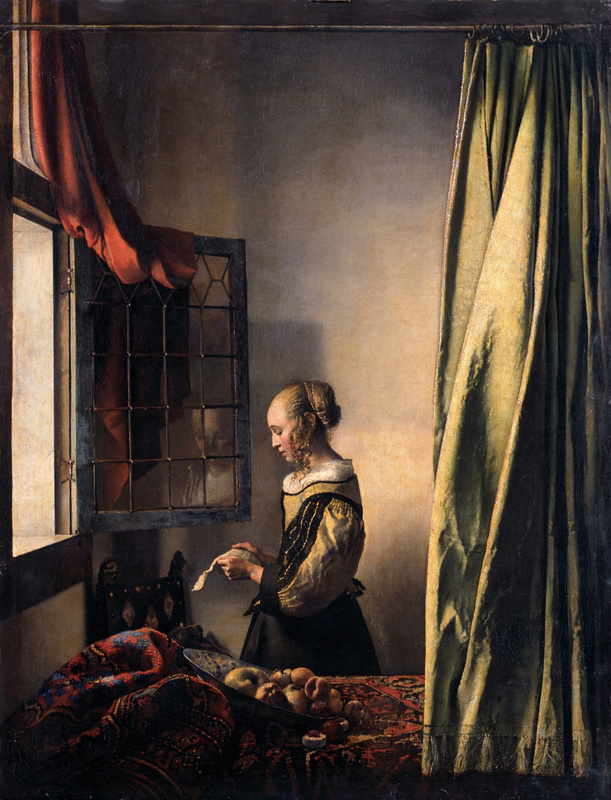 It is believed that "Girl with a letter at an open window" the last canvas, where he applied this technique. 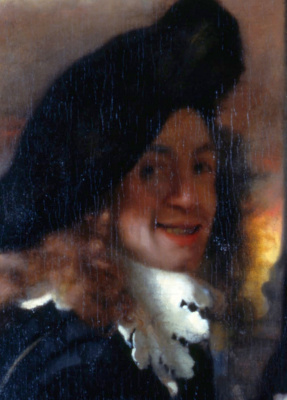 John Michael Montias in the book "Vermeer and his milieu" (1991) writes that "the girl with the letter" together with a picture"Officer and laughing girl" represent the earliest known examples of "pantie" (pointillé – dotted; not to be confused with pointillism) in the work of Vermeer. 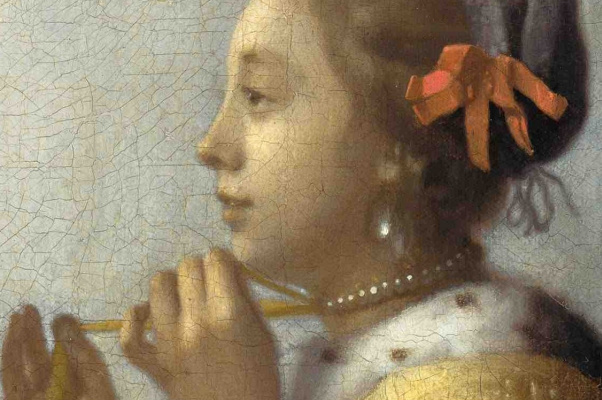 The researcher points to the "tiny white drops", which can be seen on bright fragments of both paintings, including the elements of still life, as well as blond hair of the girl with the letter. 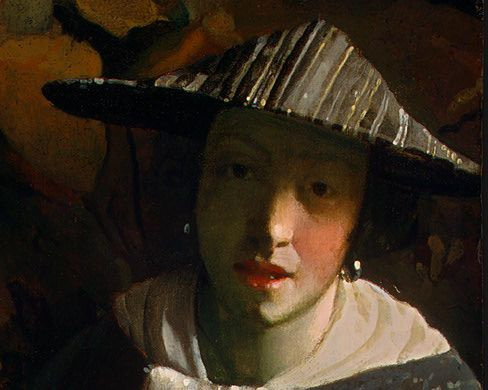 This can serve as proof that the painter used a mechanical optical device like biconcave lenses installed in the camera obscura to achieve realistic lighting on their works. 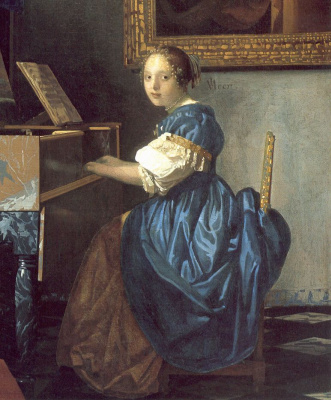 Vermeer finished this song in about 1657 and 1659. In 1742, the Polish king August III Saxon in England bought it as a job Rembrandt. After nearly 85 years it was also erroneously assigned Peter de Hoch. 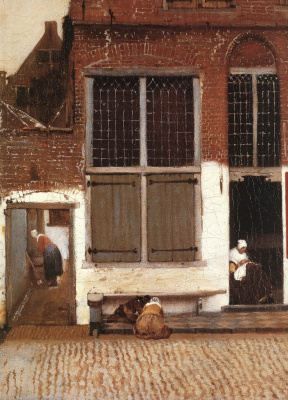 This continued up until the French art critic théophile Torah in 1860 did not recognize a picture of one of the rare works of the Delft painter. During the Second world war "Girl with a letter at an open window" along with other works of art were stored in the mine in Saxony – and this saved it from destruction during the bombing of Dresden. Red Army soldiers took her to the Soviet Union, but after Stalin's death the leadership of the country decided to return the painting "in the name of strengthening and development of friendship between the Soviet and German peoples." 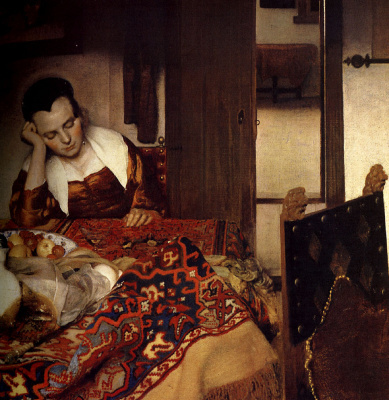 Some critics and keepers of the Soviet museums have lost hundreds of exhibits during the war, offered to donate the masterpiece of Johannes Vermeer and"The Sleeping Venus" Giorgione Soviet Union "in appreciation for the preservation and return of world-famous treasures of the Dresden gallery". But the Germans did not agree, and the paintings returned to Germany in 1955. 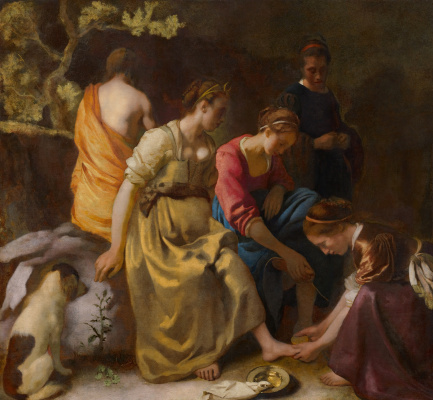 Studies conducted in 1968 showed that Vermeer used the pigments, which are widespread in the Baroque era. 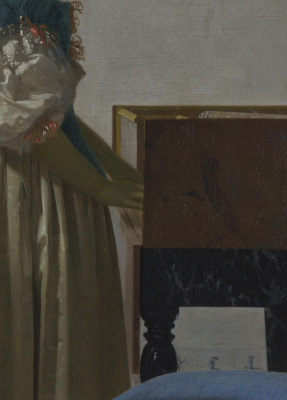 The green drape in the foreground is written with a mixture of blue azurite and lead-tin oxide (it is called "yellow the old masters"), and in the lower part used earthy greens ("Verona earth"). Red curtains and tablecloths sites, the artist took a mixture of cinnabar, madder lake, and white lead. The Gemäldegalerie Alte Meister in Dresden restores the second painting by Johannes Vermeer "Girl Reading a Letter" (1659). The painting is stable in terms of its conservation condition, considering its age. Specialists say that its surface, however, is characterized by severely darkened layers of varnish and old retouching, and this above all gave rise to the decision to restore the painting.